Home · Support. · Deployment Instructions. 1. Download and install the exe you require from the main downloads area to your image template. This will install the software and all necessary prerequisites. 3. Enter your product keys, one on each line as above. Add as many lines as you require. 4. Save the file. 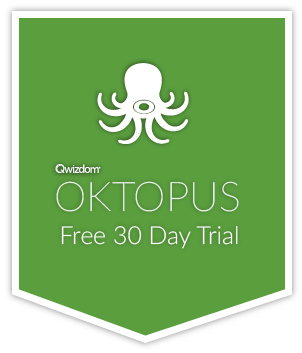 Your image template now has everything you need for OKTOPUS to automatically activate. Please Note: Do not open OKTOPUS after step 4. Doing so will automatically activate the software and will cause it to fail an anti-piracy check on the target machines, force-closing the software. If your deployment software supports EXE files, you may prefer to download OKTOPUS from the main downloads area however please note that if you have multiple licenses and need to use the custom.xml method as documented below for automatic licensing, then you should use the MSI. You can also refer to the “Additional Information” section at the bottom of this page for supported switches. Whether you are rolling out the EXE or MSI, OKTOPUS requires additional prerequisites not normally included within Windows. Run the EXE on a sample target machine to inspect which prerequisites are required (installation can be cancelled once the list is shown). We strongly advise installing all latest updates for your Microsoft Products prior to installing Qwizdom OKTOPUS. After ensuring that these prerequisites have been installed, download the installer you require for deployment. If your school or company uses the Qwizdom RF handsets or has licenses for QVR (Qwizdom Virtual Remote), deploy the OKTOPUS with Actionpoint installer. Otherwise, use the standalone version. The method where multiple keys can be rolled out is only supported by the MSI installer. Computers must be online when OKTOPUS is opened to activate automatically. If the target computers are behind a proxy, activation may need to be carried out manually. 3. Deploy the software using your deployment tool. The updated custom.xml file will be included in the rollout. On the target machine, when OKTOPUS is opened, it will read the custom.xml file and attempt to activate automatically using the first key it finds with an available activation. Please Note: We do not supply instructions or support for any specific deployment tool.